Alexey Borisovich Podkorytov – General Director of Zavod Medsintez LLC. ul. 8 Marta, 90a, Yekaterinburg, 620144. Oleg Vladimirovich Zhilyaev – Head of the Department of Genetically Engineered Human Insulin, Zavod Medsintez LLC. 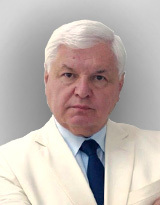 Mikhail Alexandrovich Polzikov – PhD, General Director of IVFarma LLC. Nauchnyi proezd, 20, str. 2, Moscow, Russia, 117246.